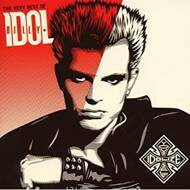 The Very Best of Billy Idol: Idolize Yourself is a greatest hits compilation album, spanning the recording career of British punk rockvocalist Billy Idol. It was released in the U. S. on 24 June 2008. It features 16 of Idol's past hits, as well as two new tracks, "John Wayne" and "New Future Weapon".